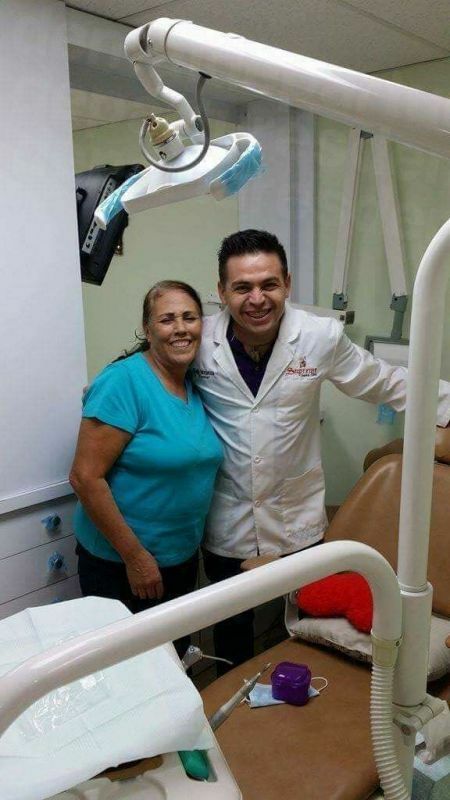 Your message has been delivered to Supreme Dental Clinic and you will receive a reply within 4 hours. 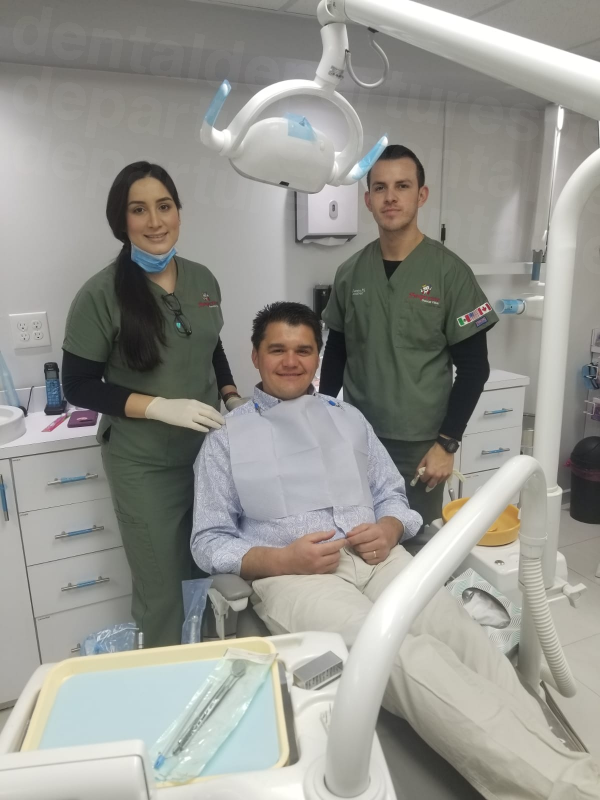 – General dentistry: diagnoses, treats and helps prevent various conditions and diseases that affect the teeth and gums, including upper and lower jaw. 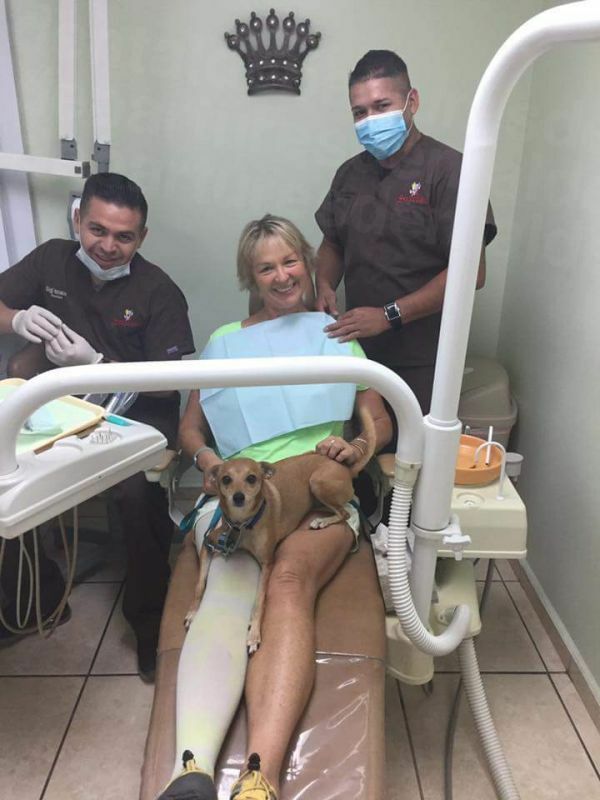 Supreme provides preventive treatments such as oral exams, teeth cleaning, fillings, and sealants. 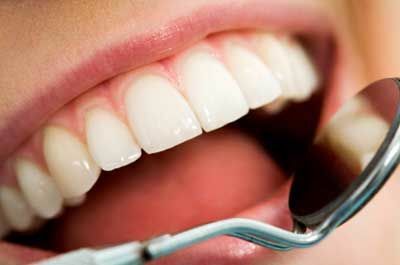 – Root canal: helps repair and save decayed teeth. 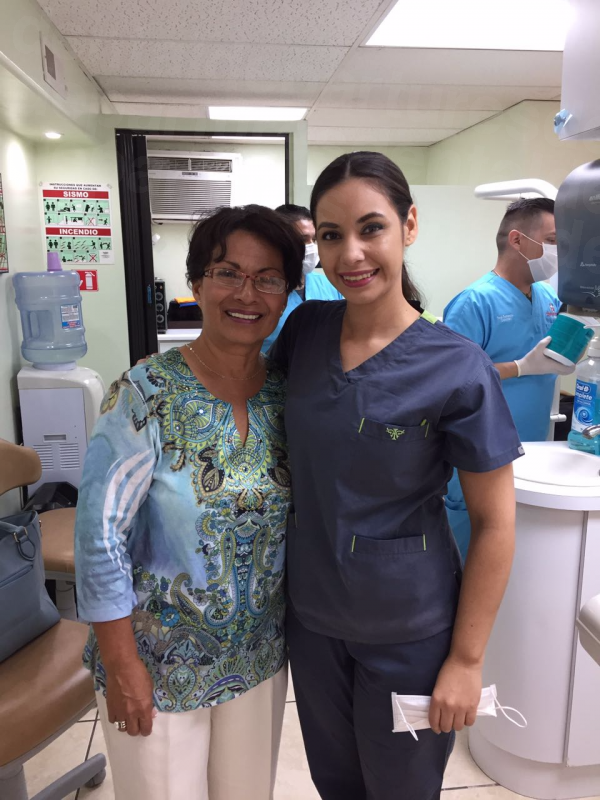 – Cosmetic dentistry: improves smiles using various procedures such as crowns, bridges, dentures, and veneers. 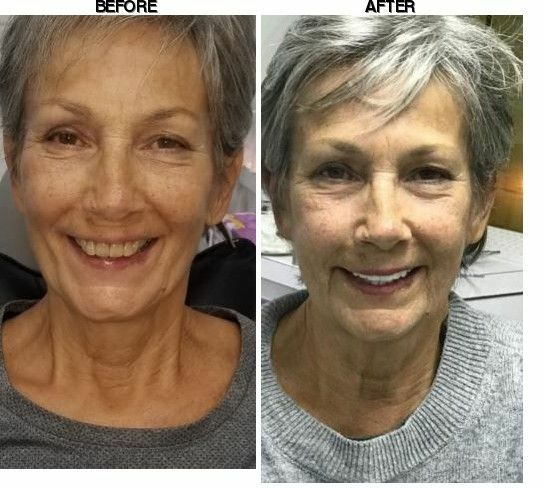 The treatments effectively improve discolored, chipped, and missing teeth. 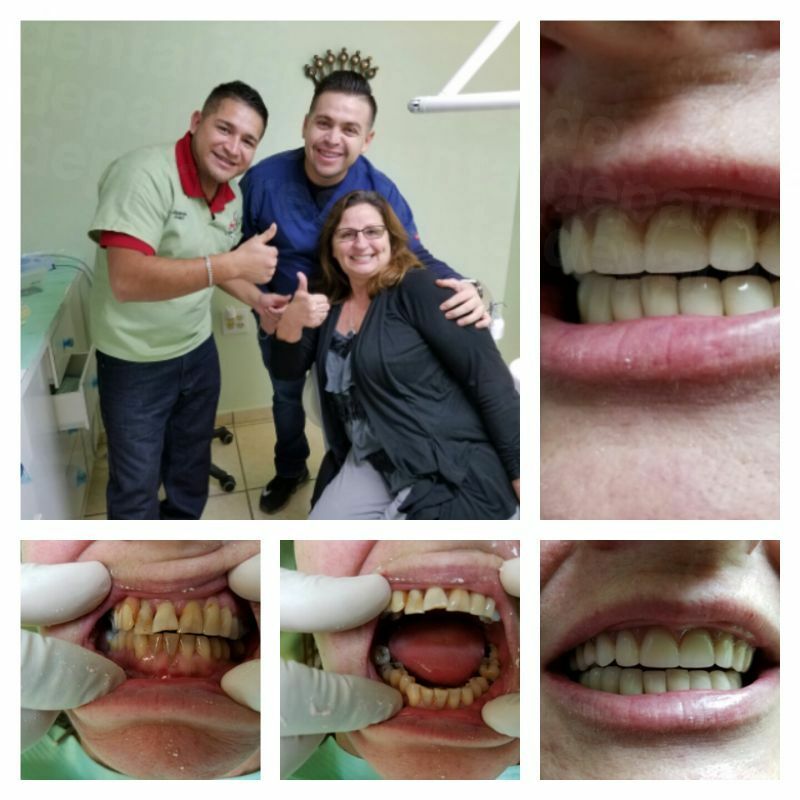 – Orthodontics: corrects bite problems and straightens teeth using braces and other devices. 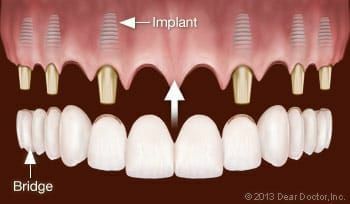 – Dental implants: replaces missing teeth with artificial tooth roots, topped with a crown or bridge. 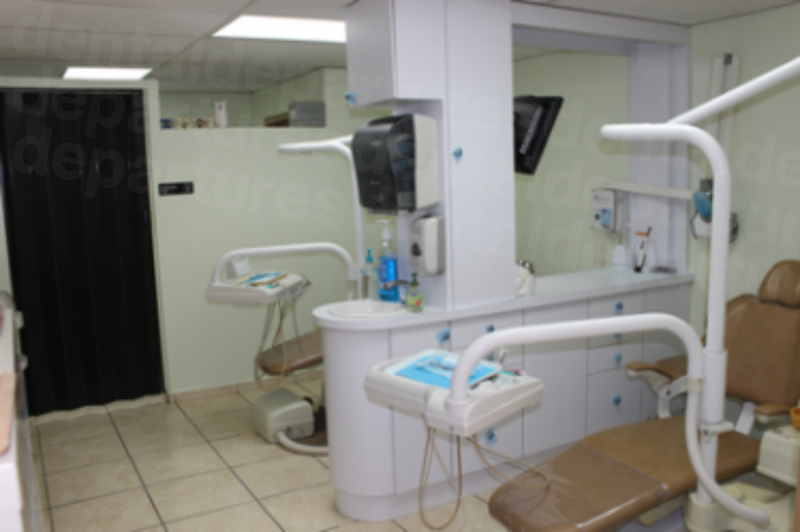 Supreme Dental is equipped with a state-of-the-art facility that produces high-quality dental restorations. 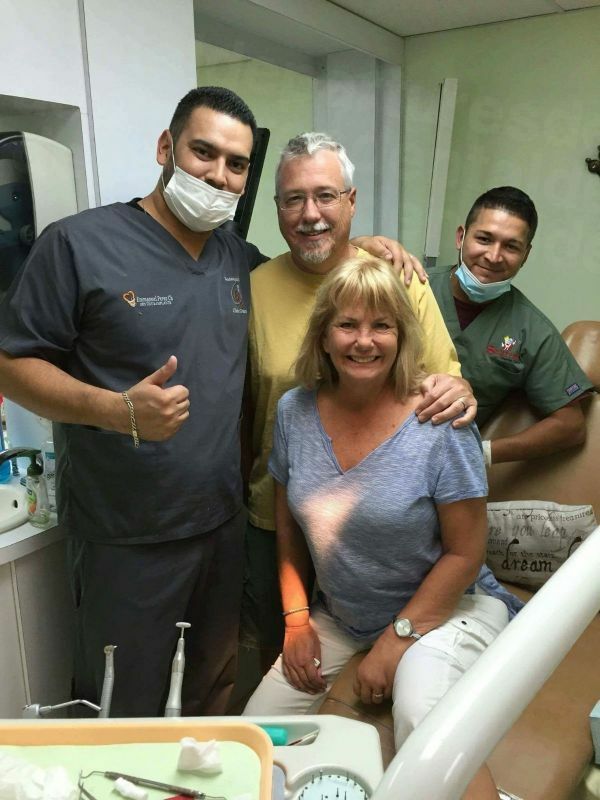 Globally recognized brands are used in improving the smiles of patients. 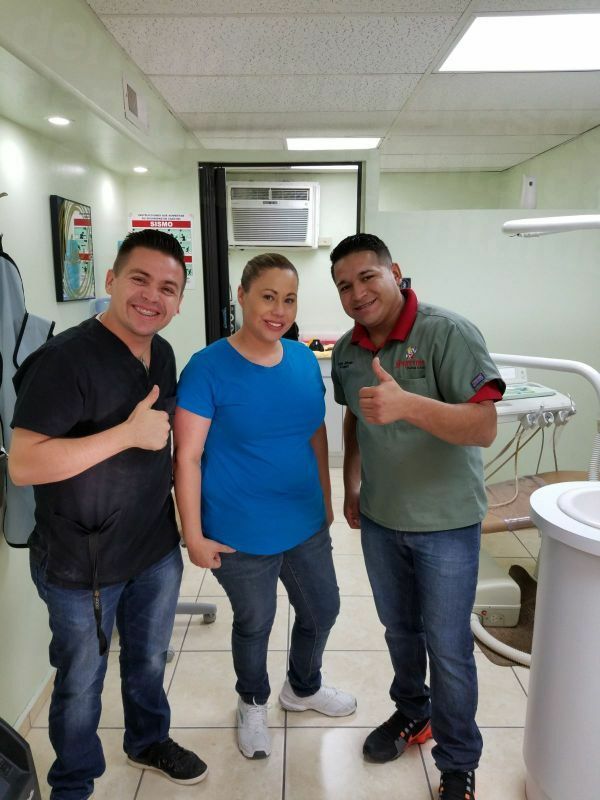 For example, Supreme uses porcelain, metal-free and zirconia crowns to shape the teeth, adhering to the strict guidelines on sterilization procedures set forth by the American Dental Association (ADA). 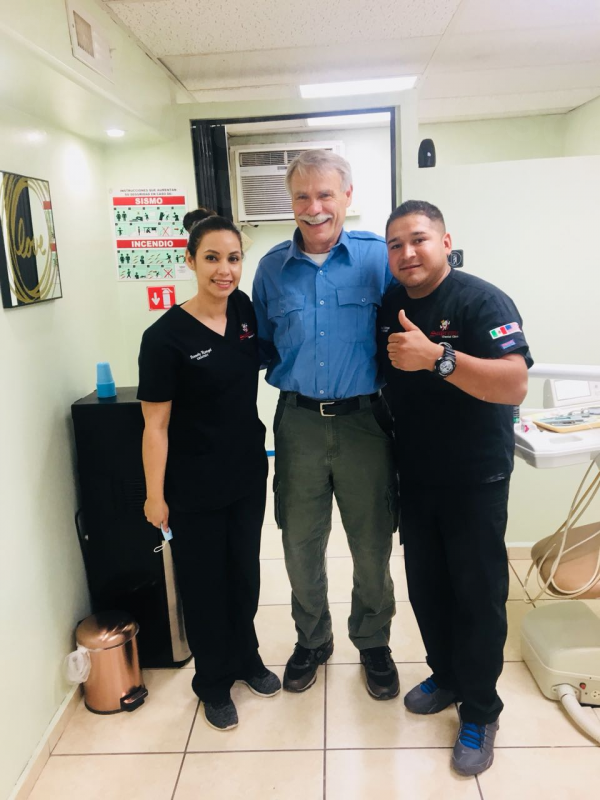 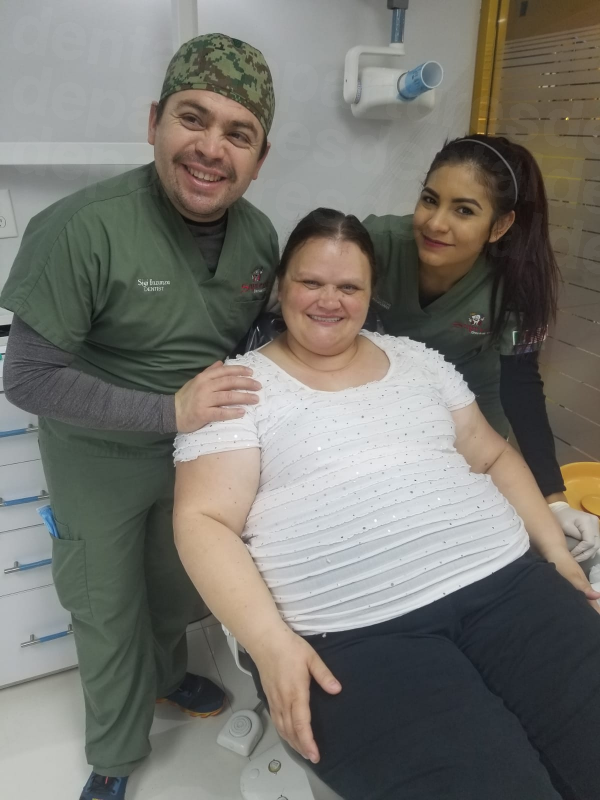 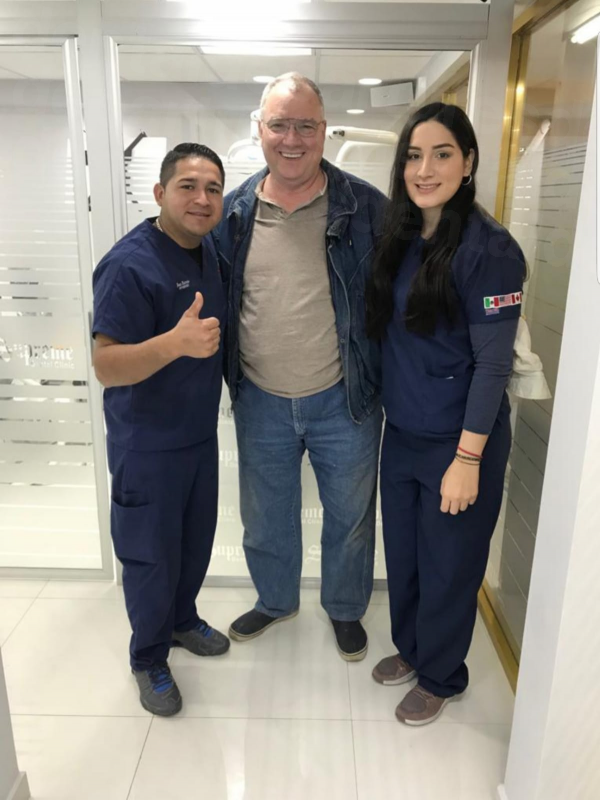 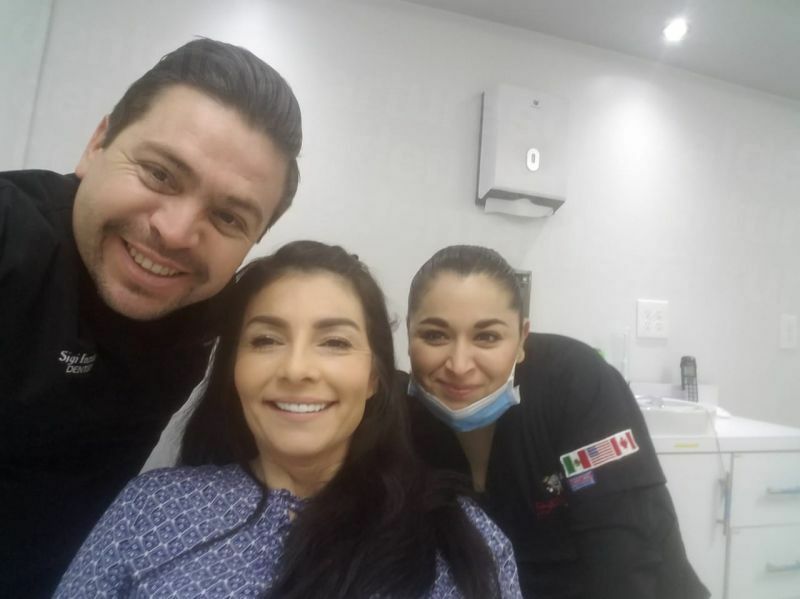 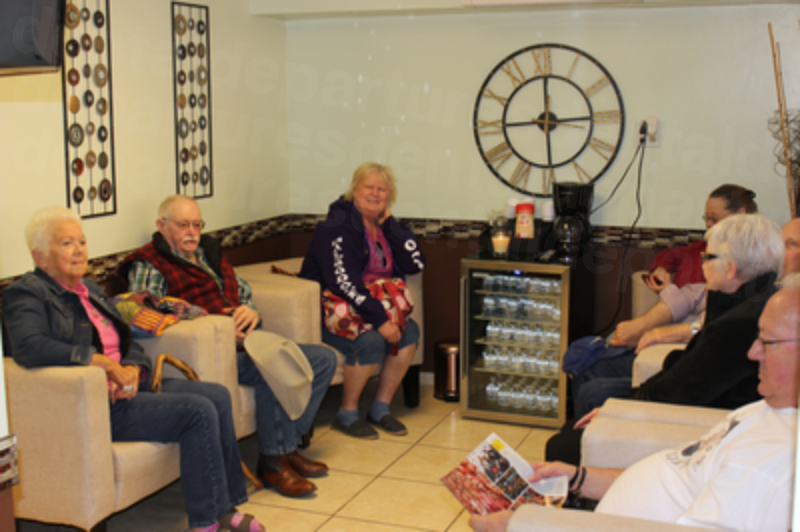 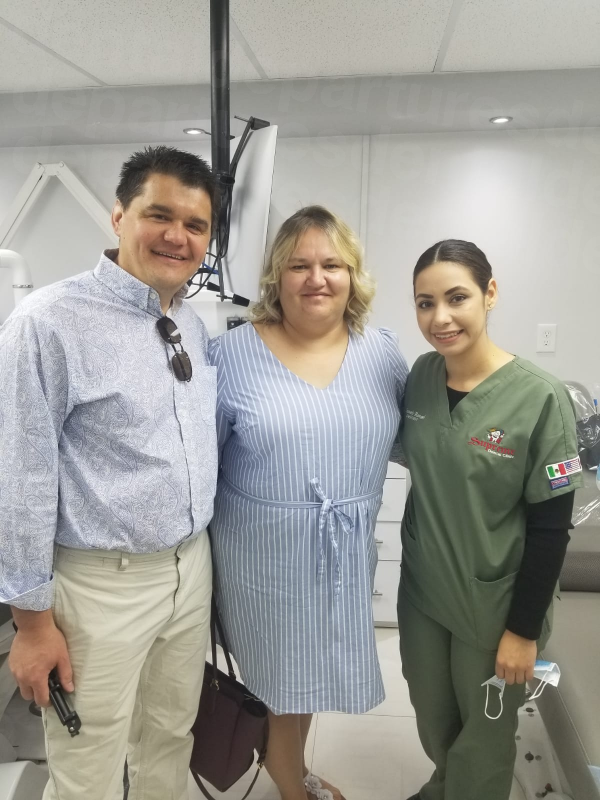 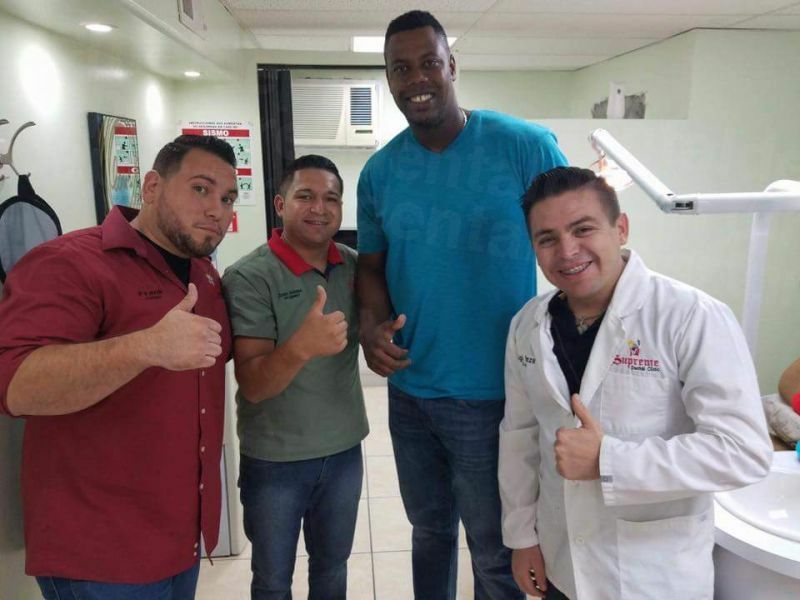 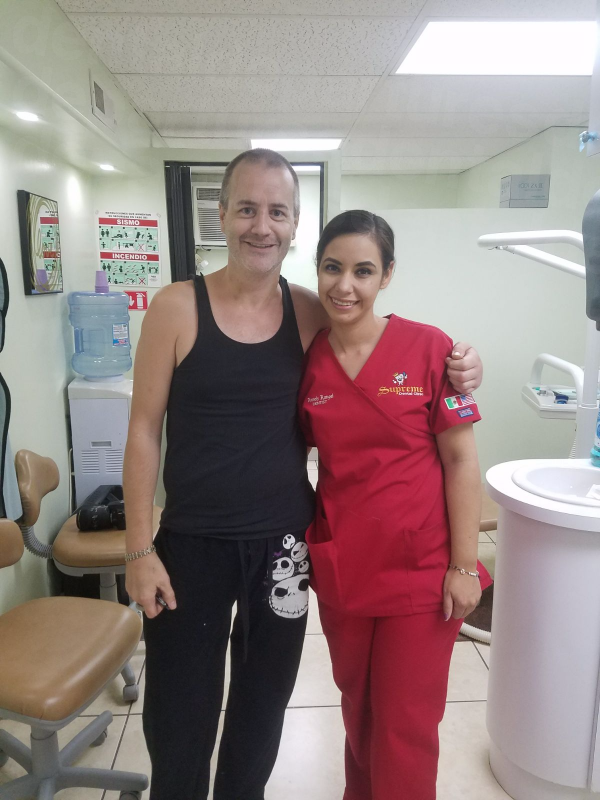 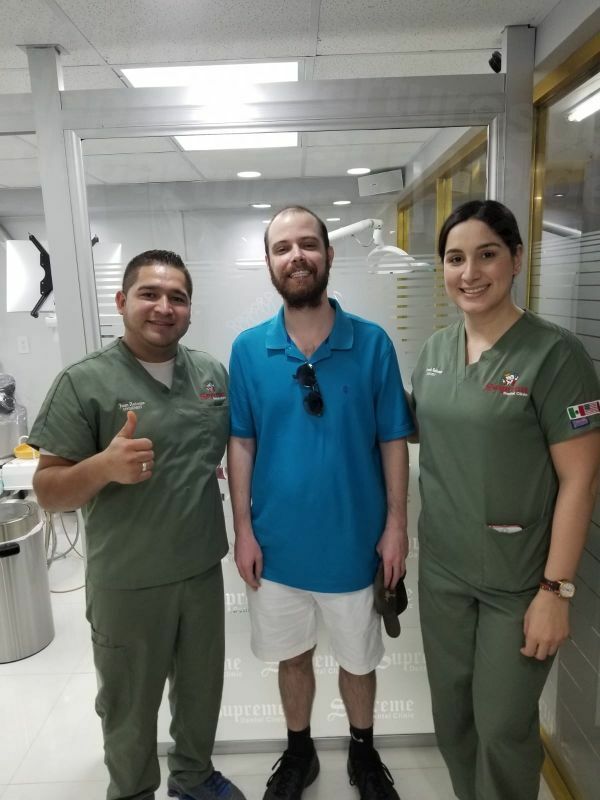 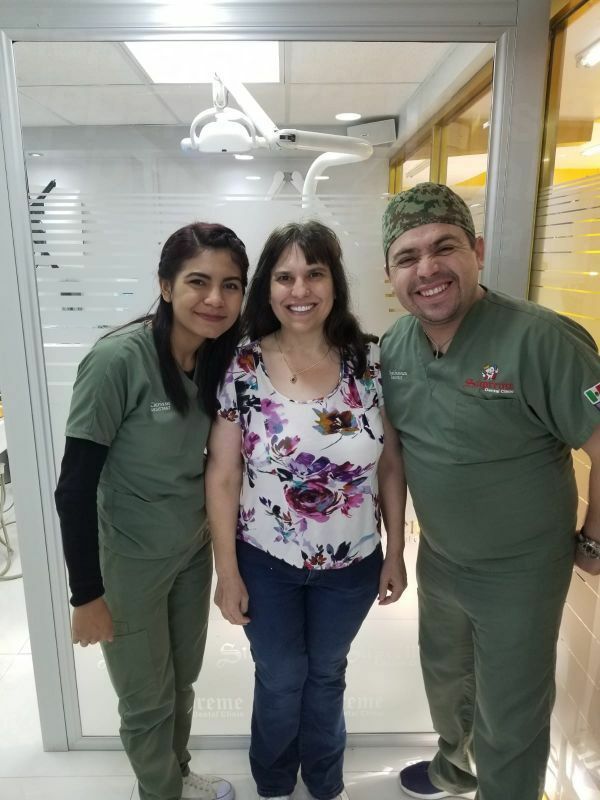 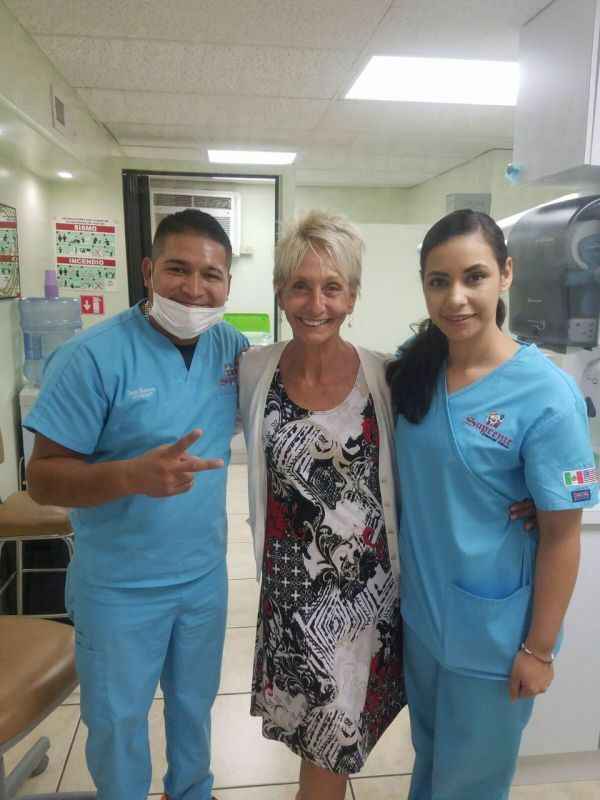 English-speaking dentists attend to the needs of dental tourists and help patients feel relaxed throughout the treatment. 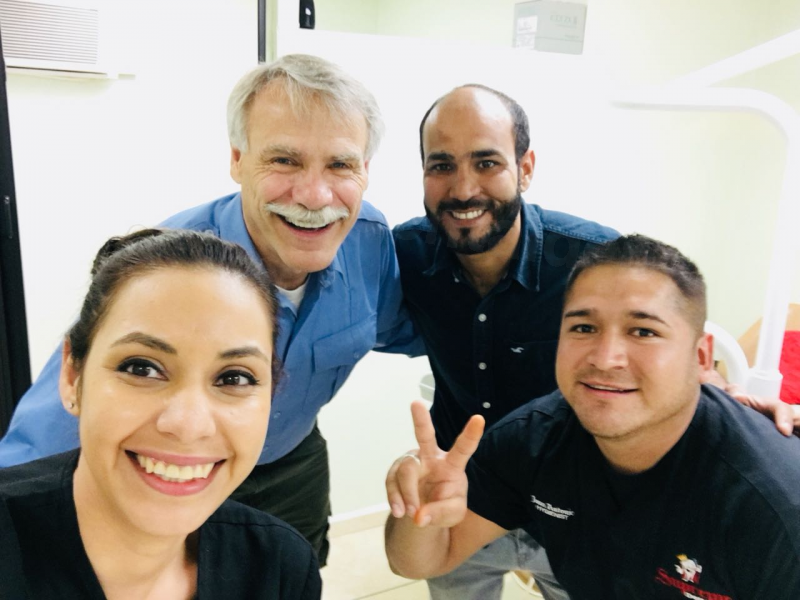 Feel free to discuss your concerns and Supreme Dental will create a personalized plan to meet your needs. 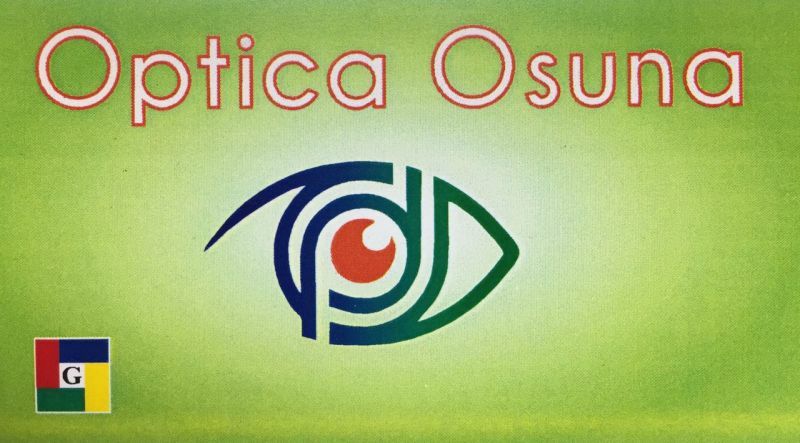 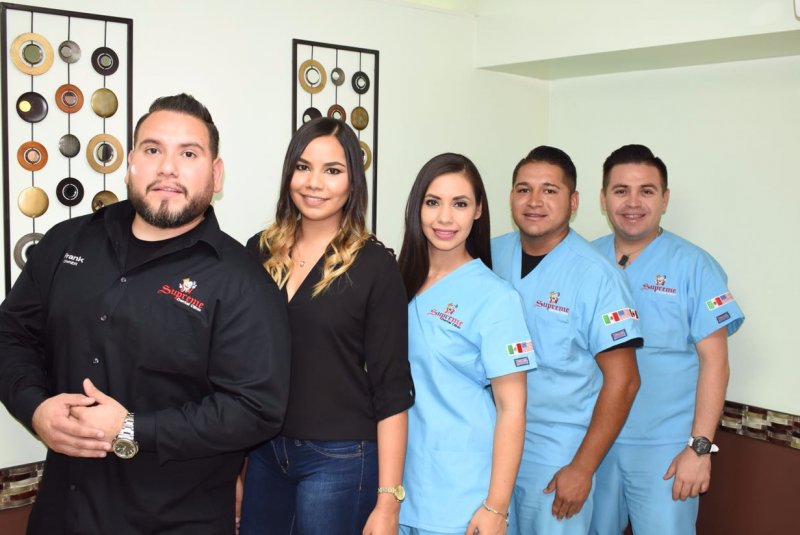 As a welcome gift to new patients, the clinics offers a free consultation and oral examination. 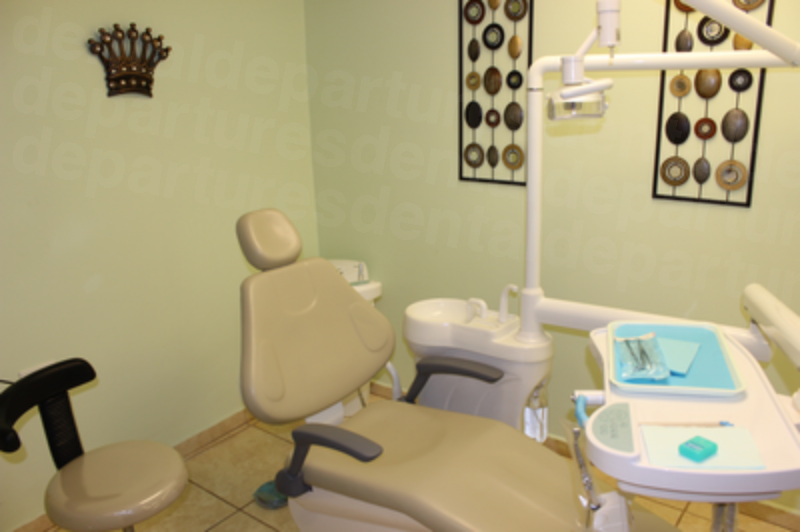 To book your appointment, please get in touch with Dental Departures by phone, email, or online chat. 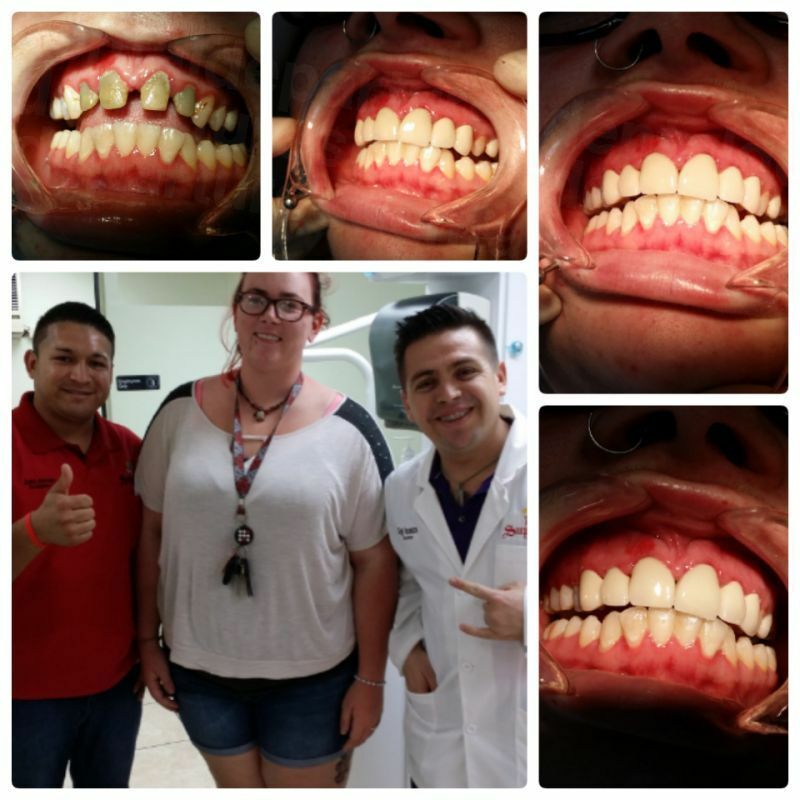 Payment in full prior to beginning treatment is required when paying with checks. 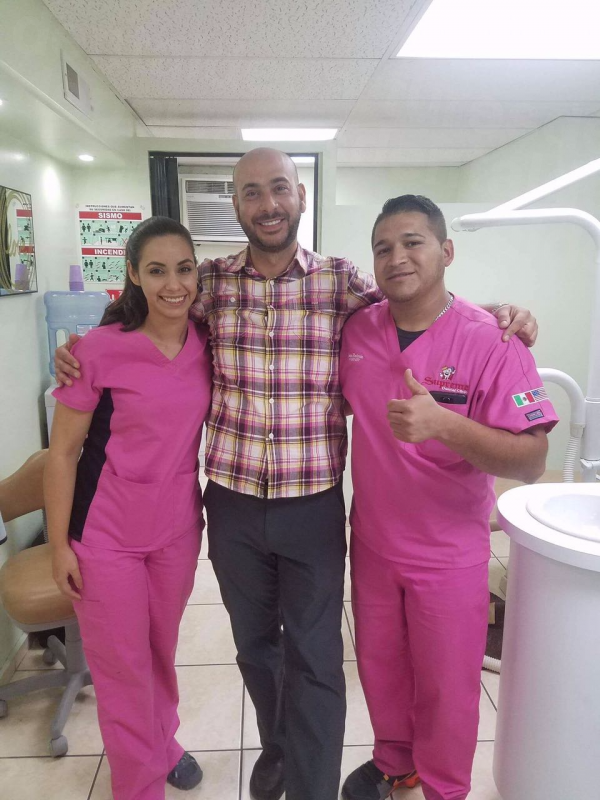 View the dental prices and dental treatment durations of Supreme Dental Clinic , in Los Algodones, Mexico. 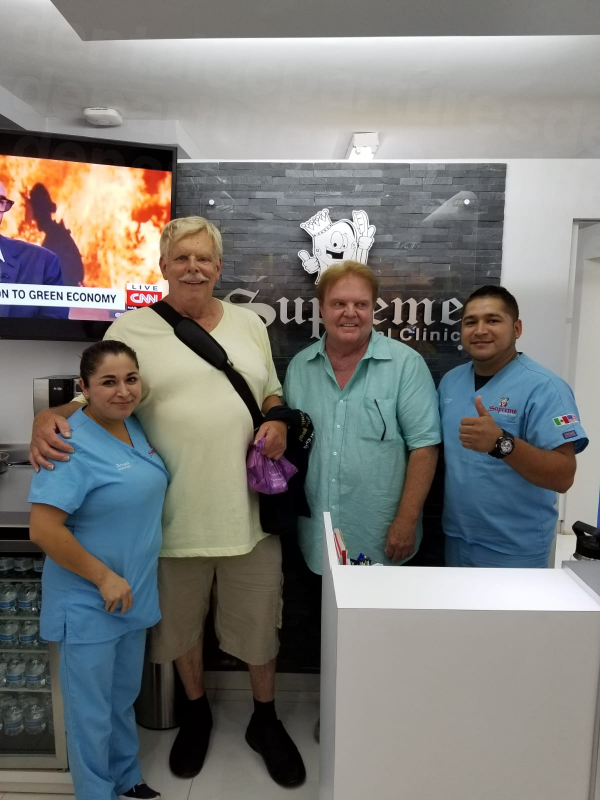 You can view Supreme Dental Clinic 's prices in 21 different currencies: you will always know how much you will pay for dental care at Supreme Dental Clinic in your home currency. 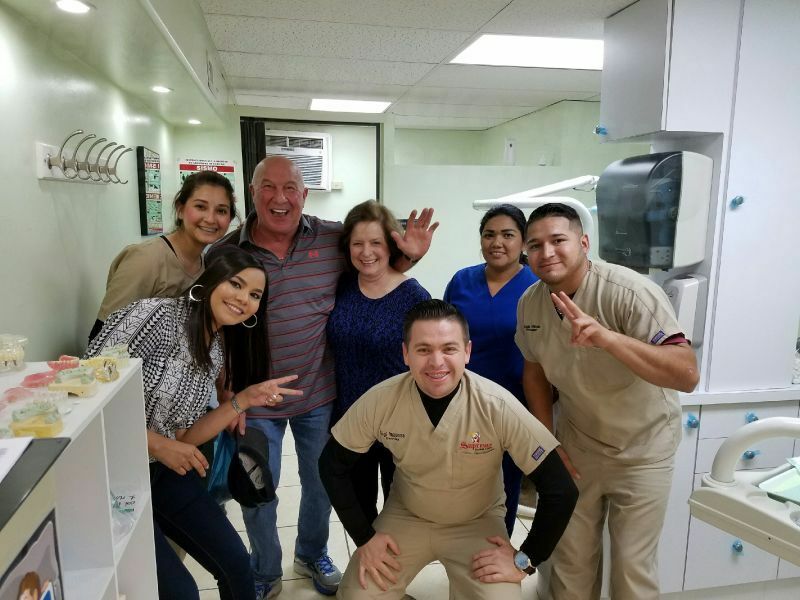 Learn the number of days you will need to visit Supreme Dental Clinic to receive your dental care by looking at their treatment durations. 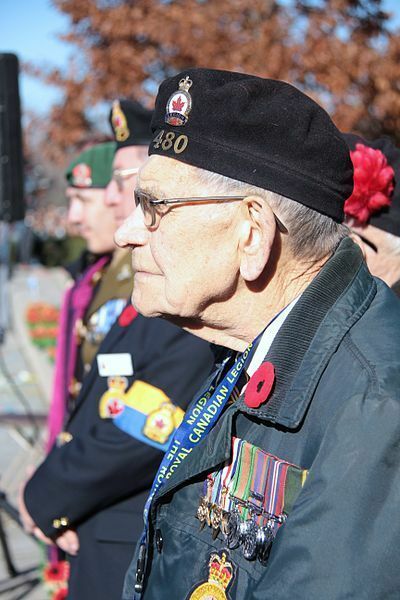 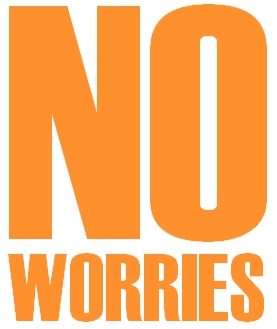 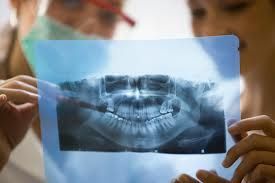 Procedure does not include extraction, bone graft or sinus lift. 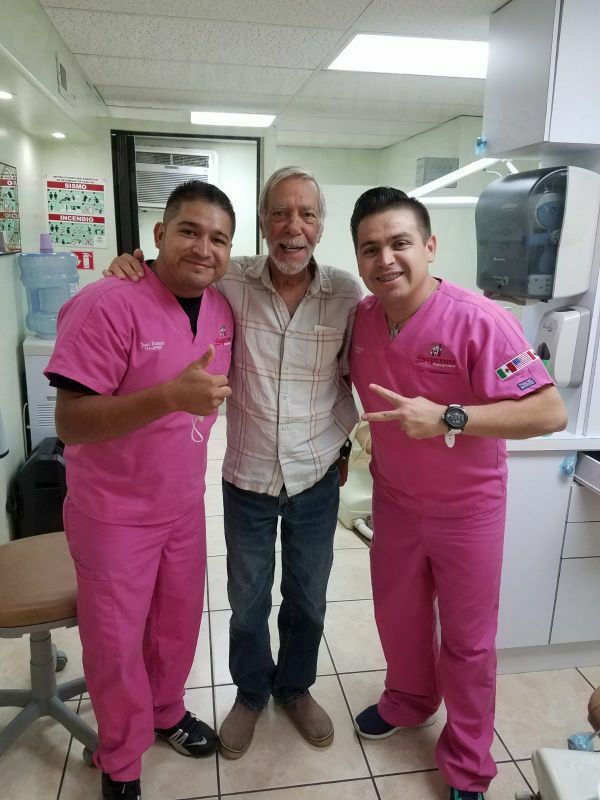 Oral Cancer Screening is an examination performed by a dentist or doctor to look for signs of cancer or precancerous conditions in your mouth.The goal of Oral Cancer Screening is to identify mouth cancer early, when there is a greater chance for a cure. 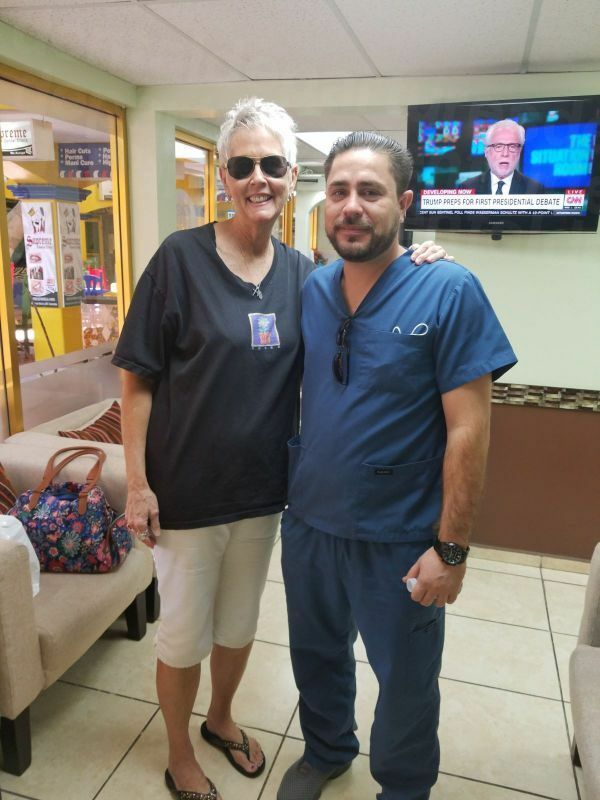 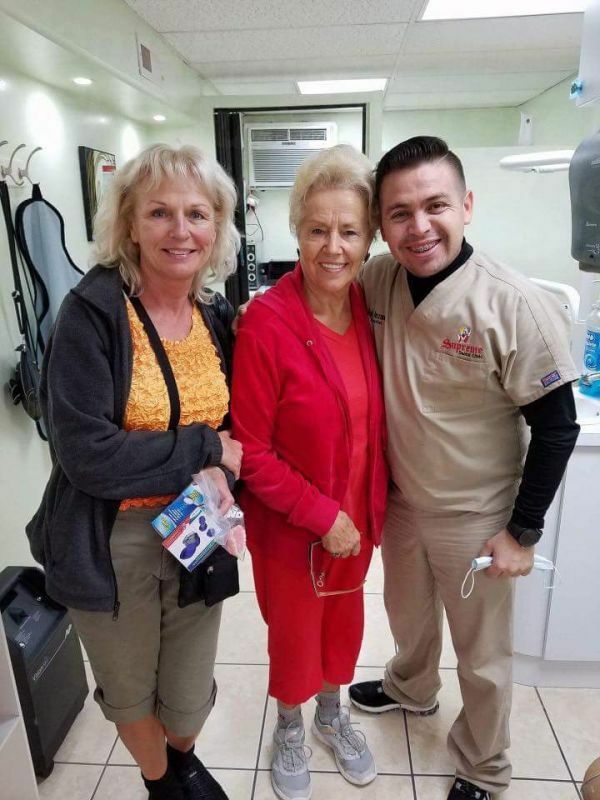 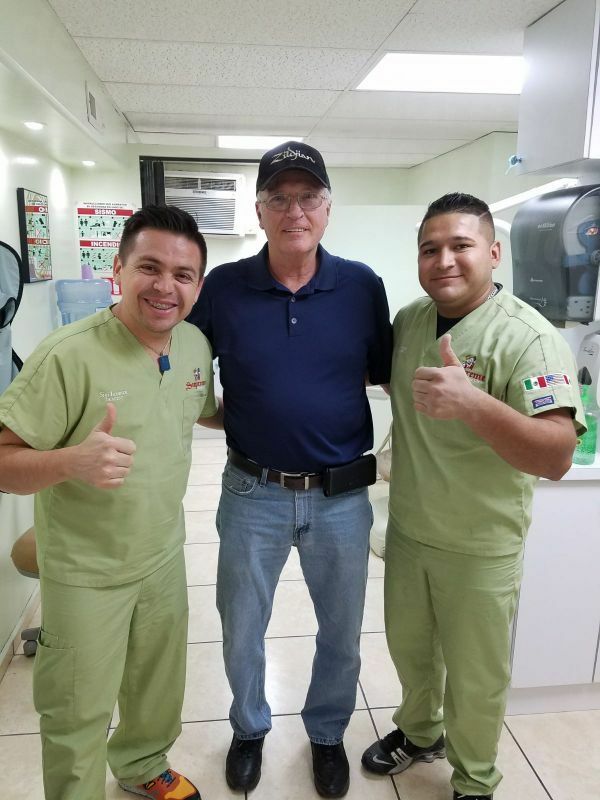 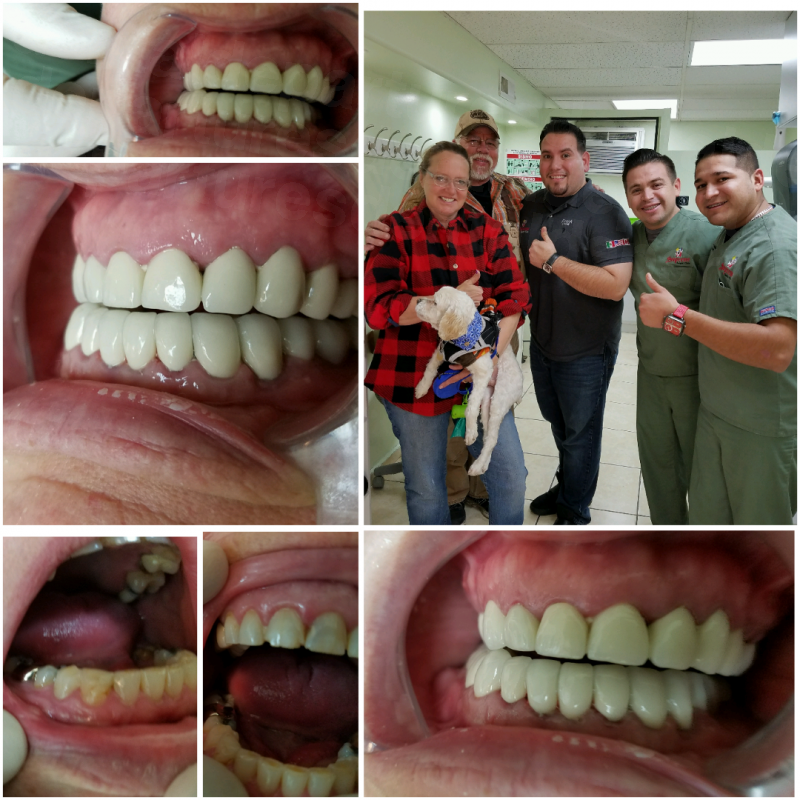 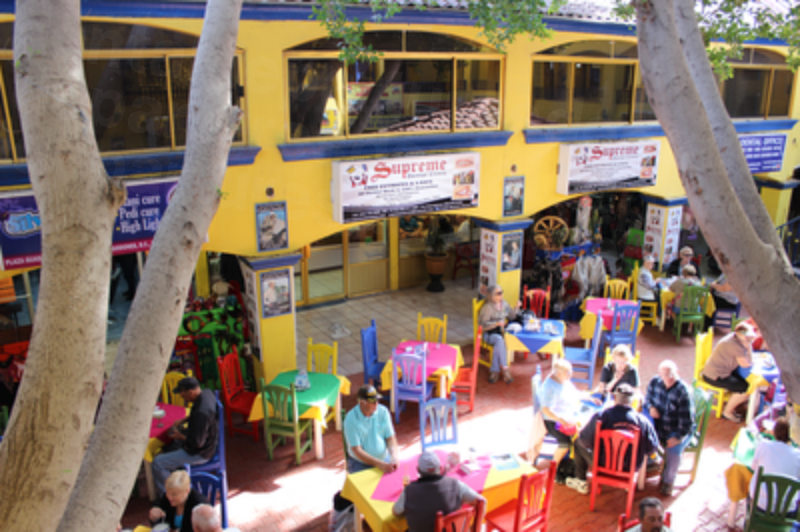 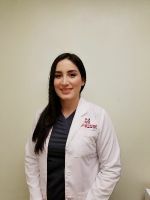 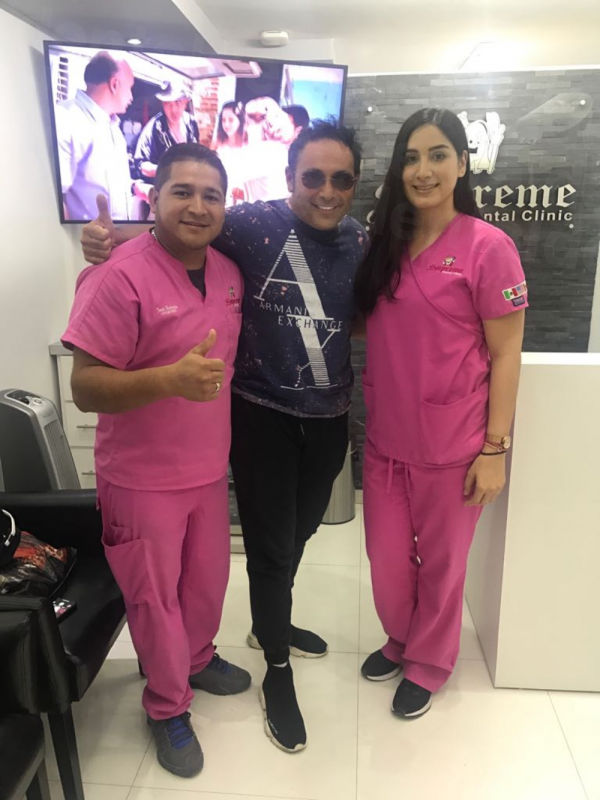 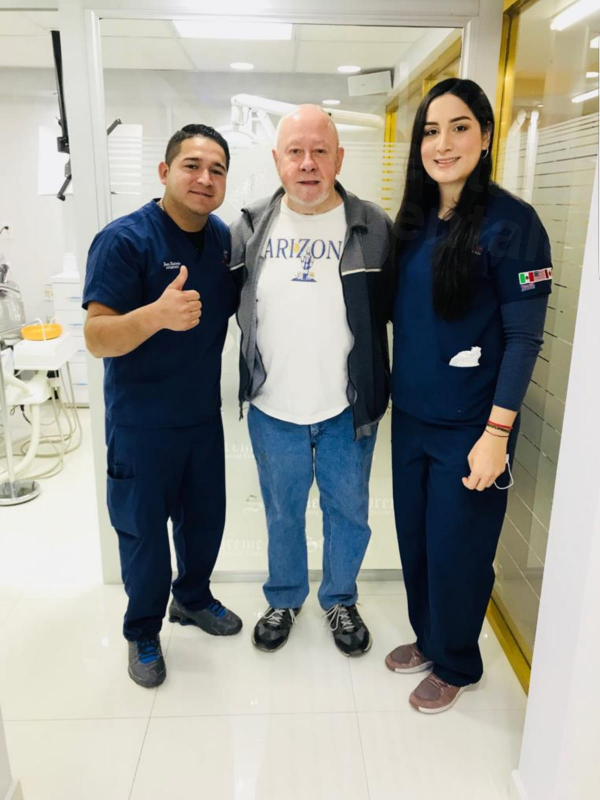 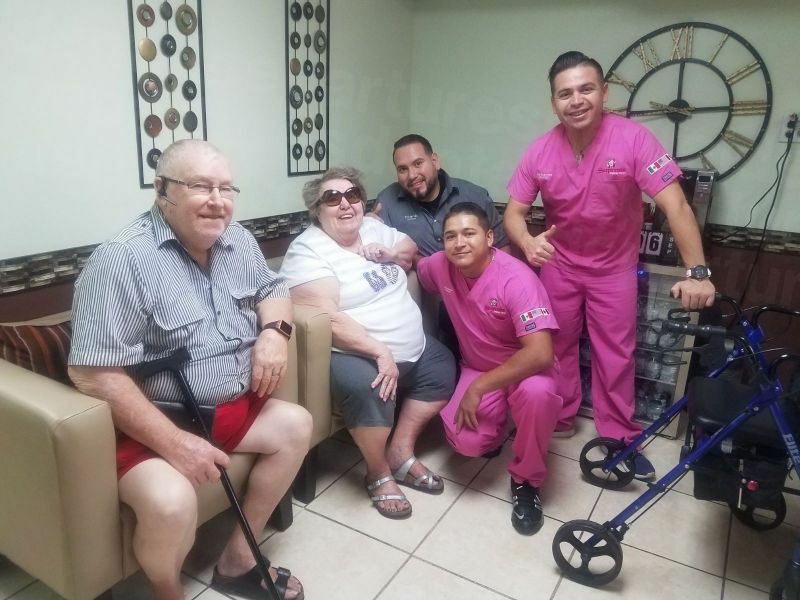 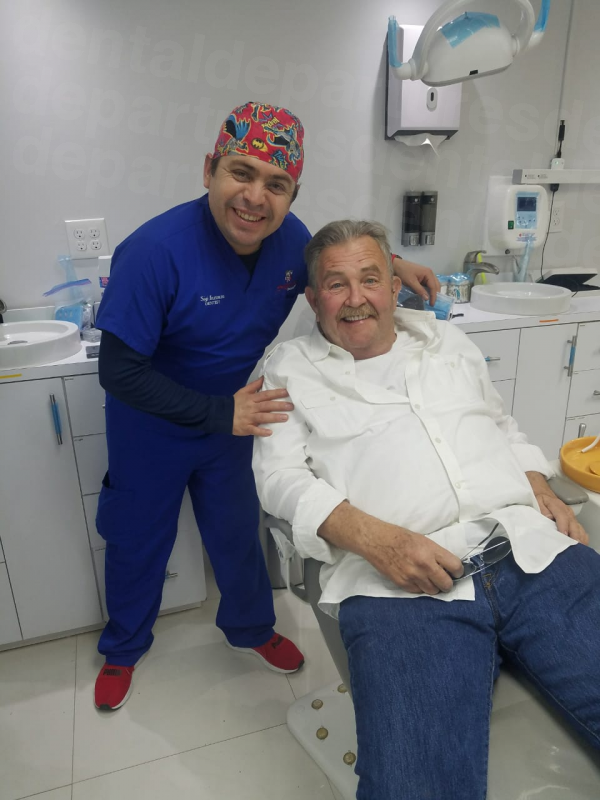 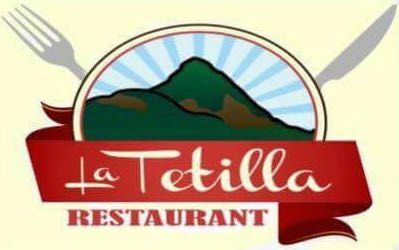 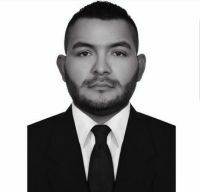 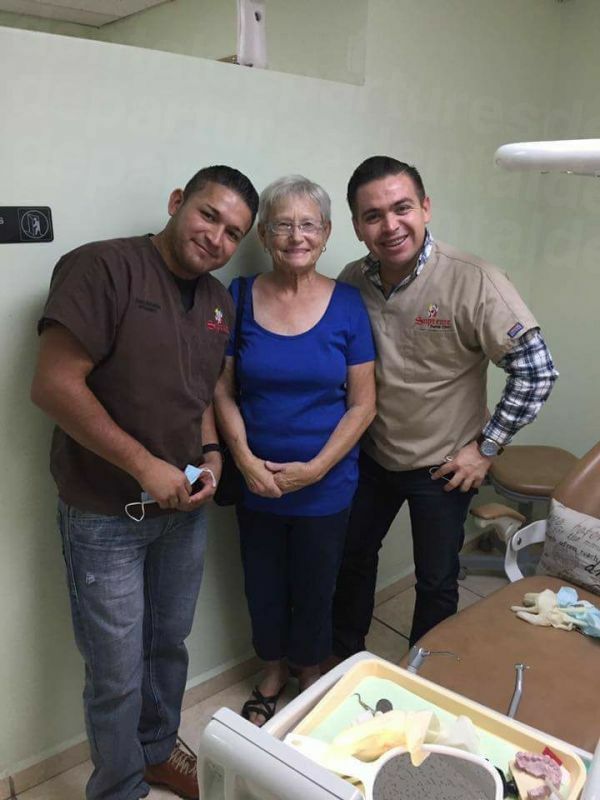 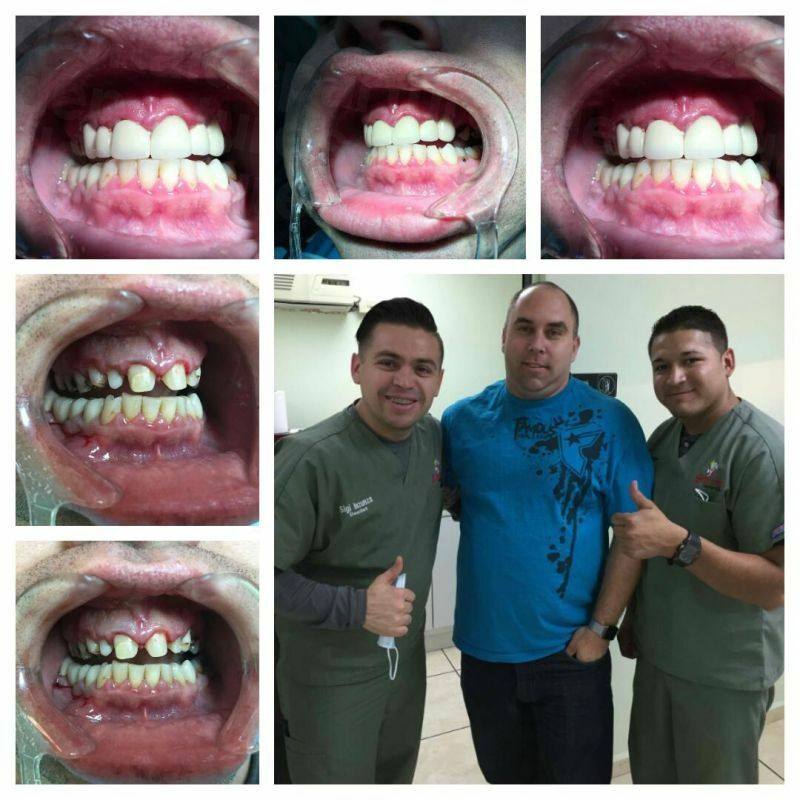 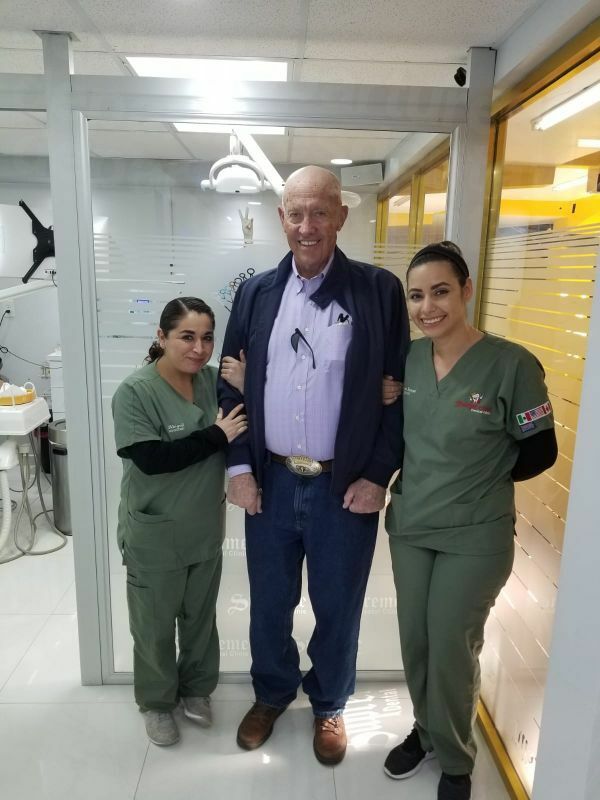 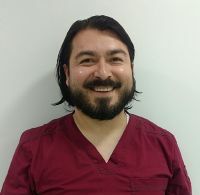 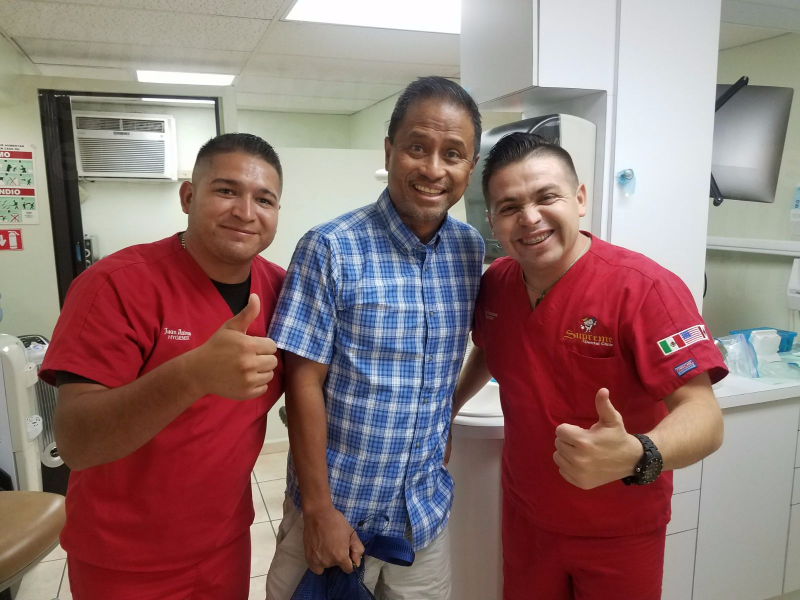 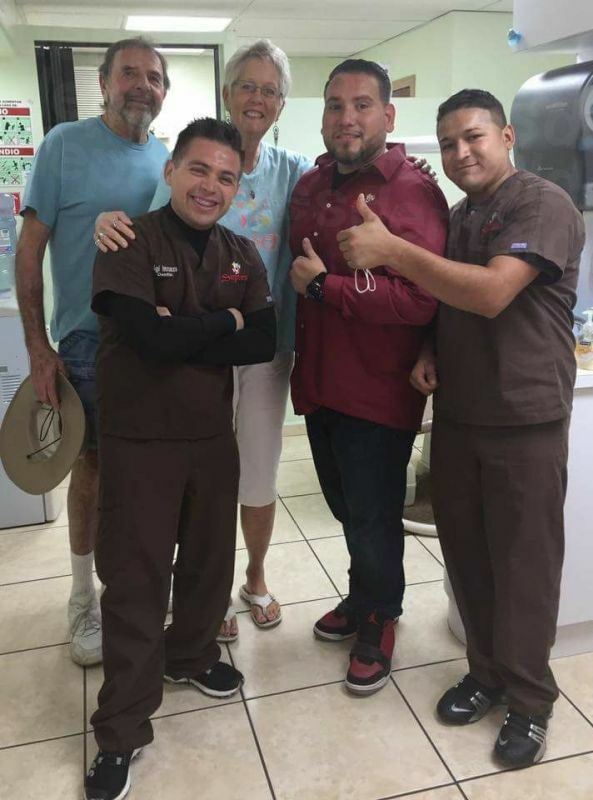 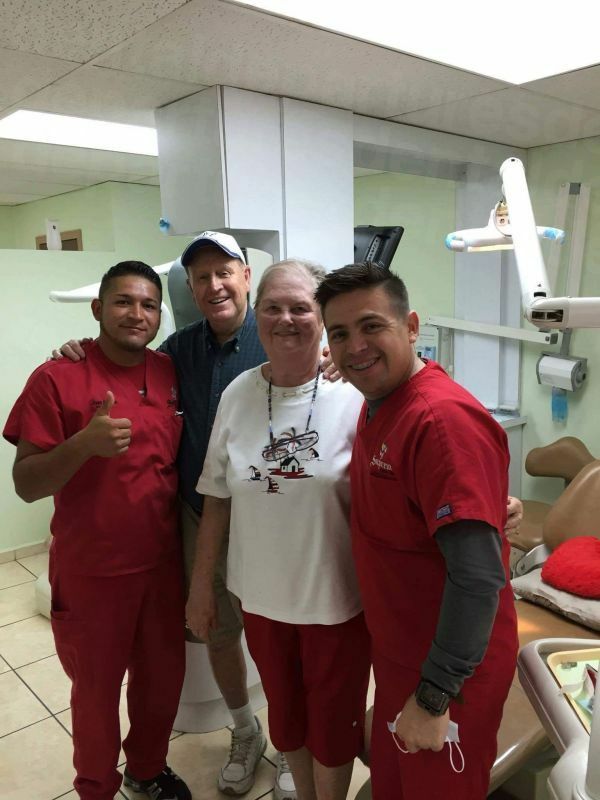 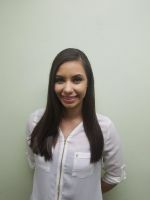 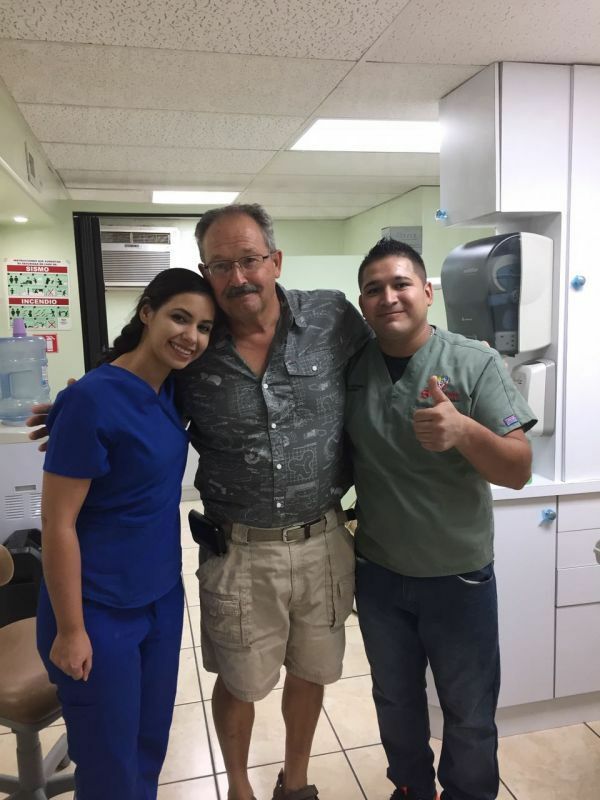 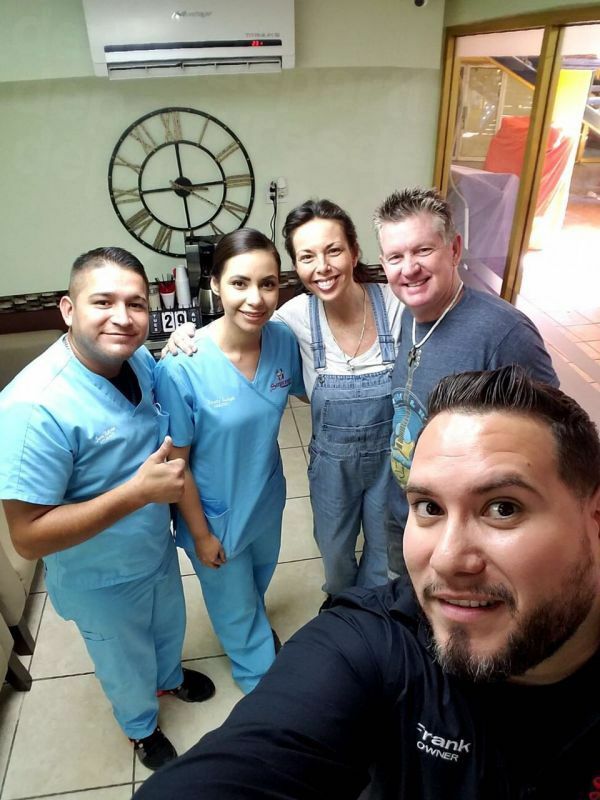 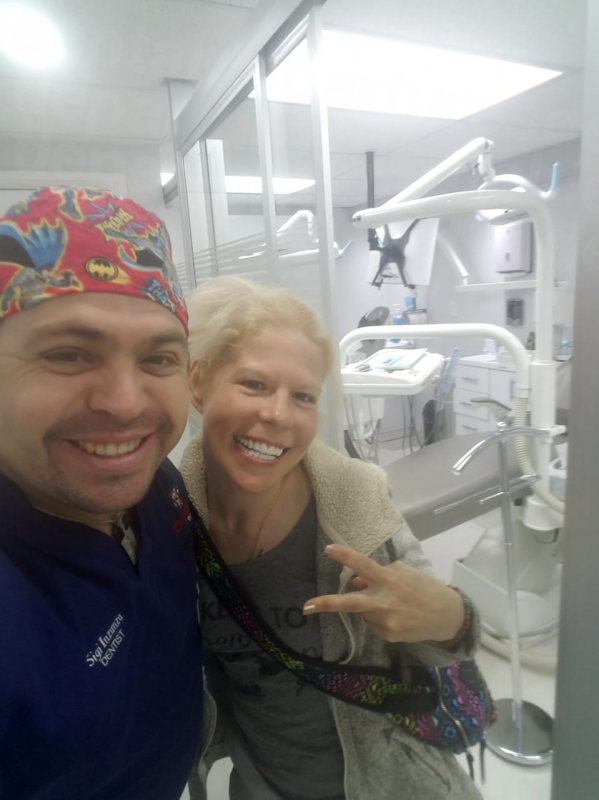 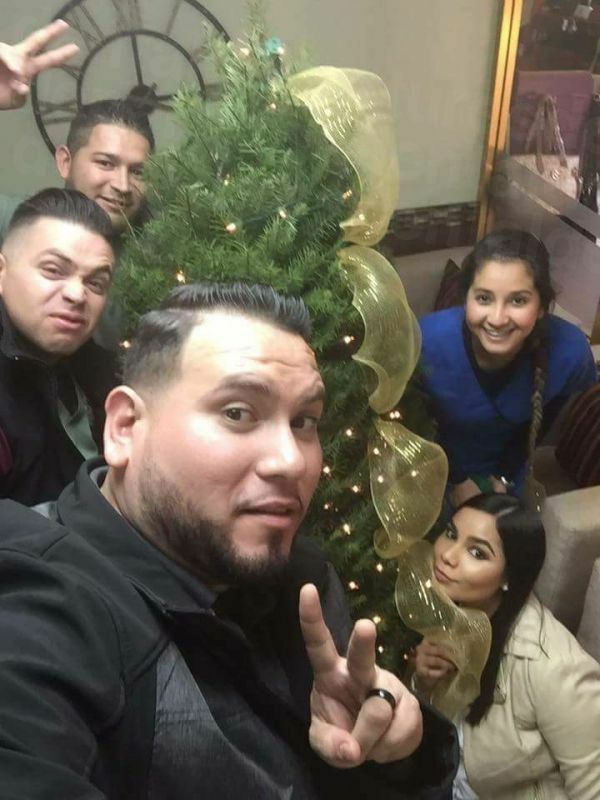 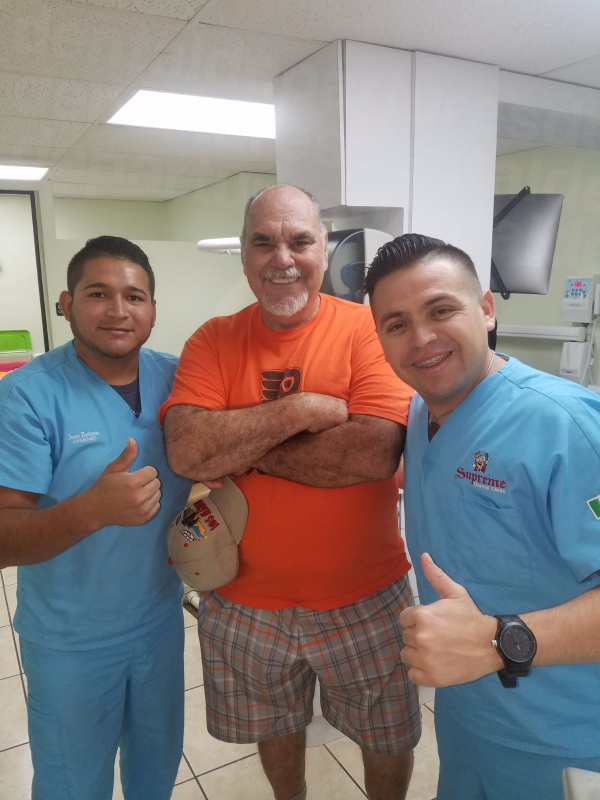 Read real reviews from real patients of Supreme Dental Clinic , in Los Algodones, Mexico. 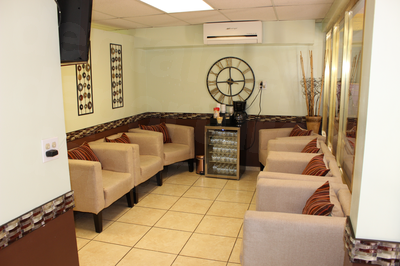 Supreme Dental Clinic has achieved a star rating of 5 based on 2264 reviews. 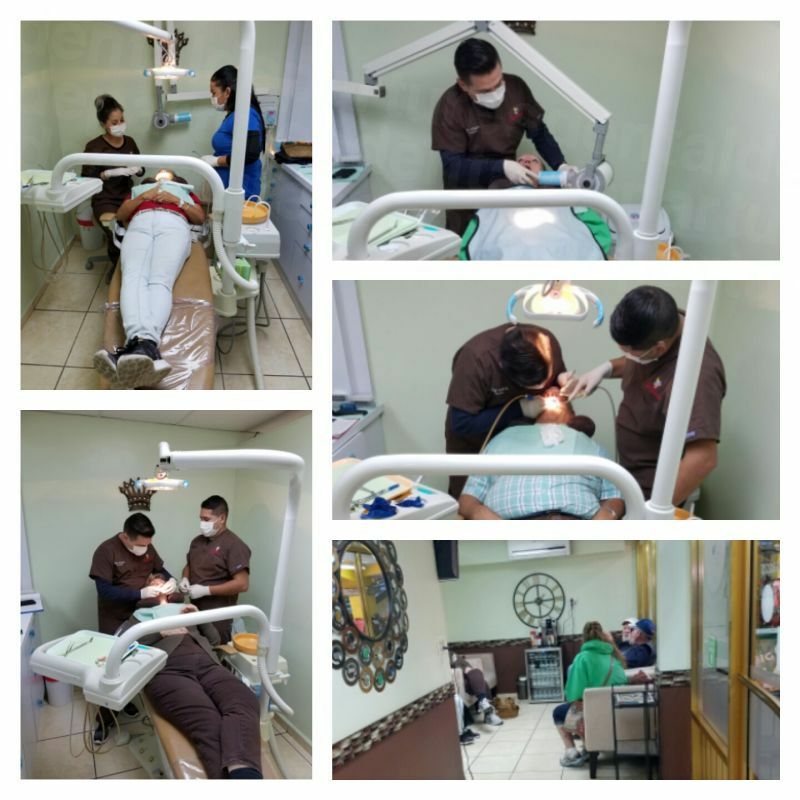 If you are a past patient of Supreme Dental Clinic please click the 'write review' button to provide your review for others to read. 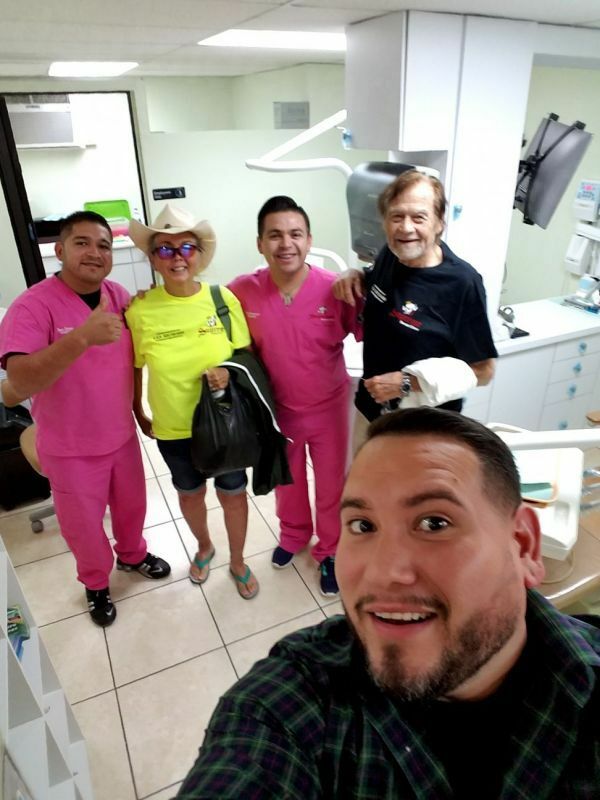 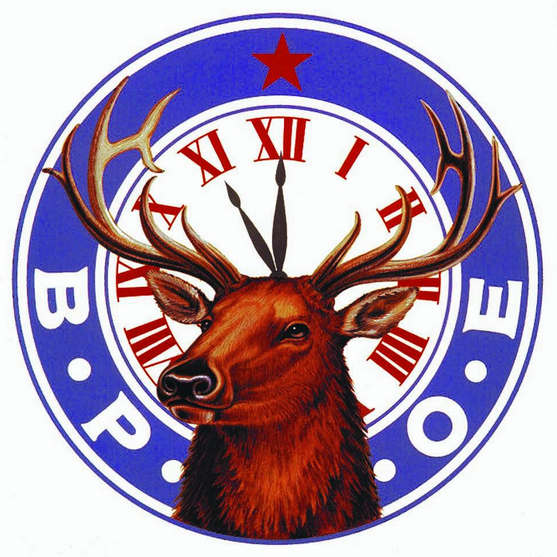 Writing a review for Supreme Dental Clinic will only take 2 minutes to complete. 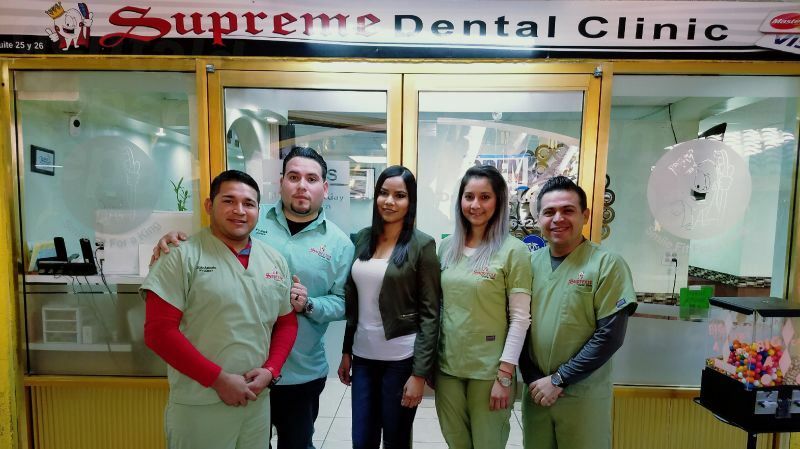 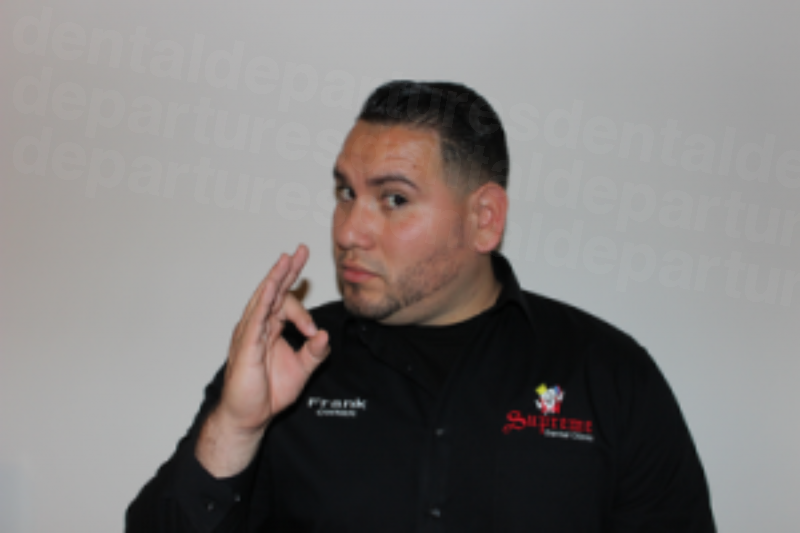 Come to Supreme Dental and with your procedure 20% off on your total in our restaurant inside the Plaza. 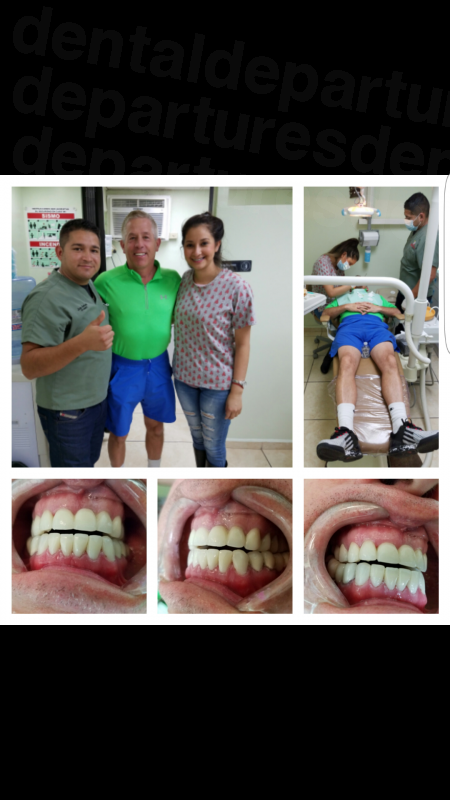 $50 off your Zirconia Crowns! 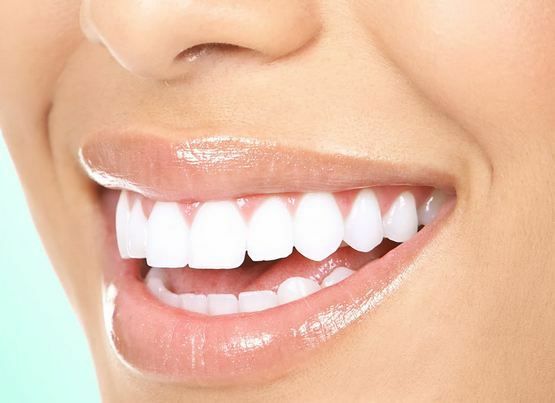 Get your Zirconia crowns for only $350! 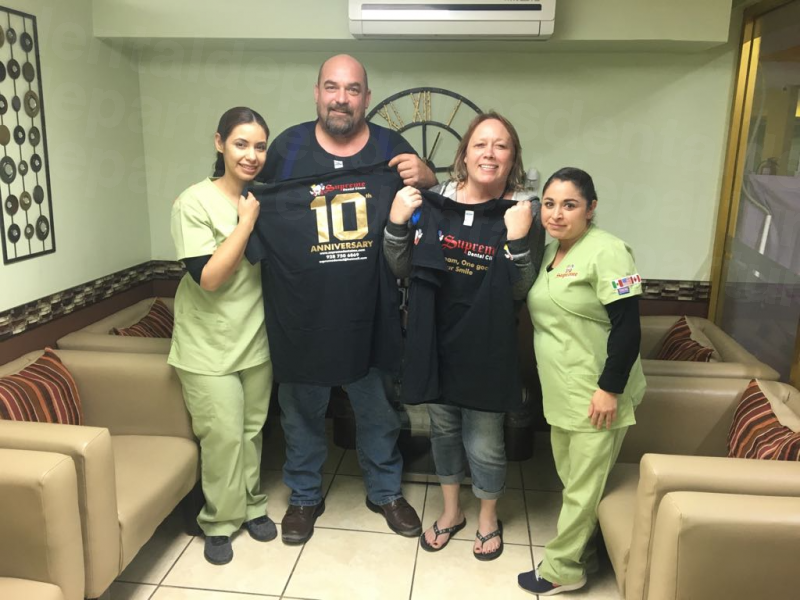 Get 10% discount on prescription drugs. 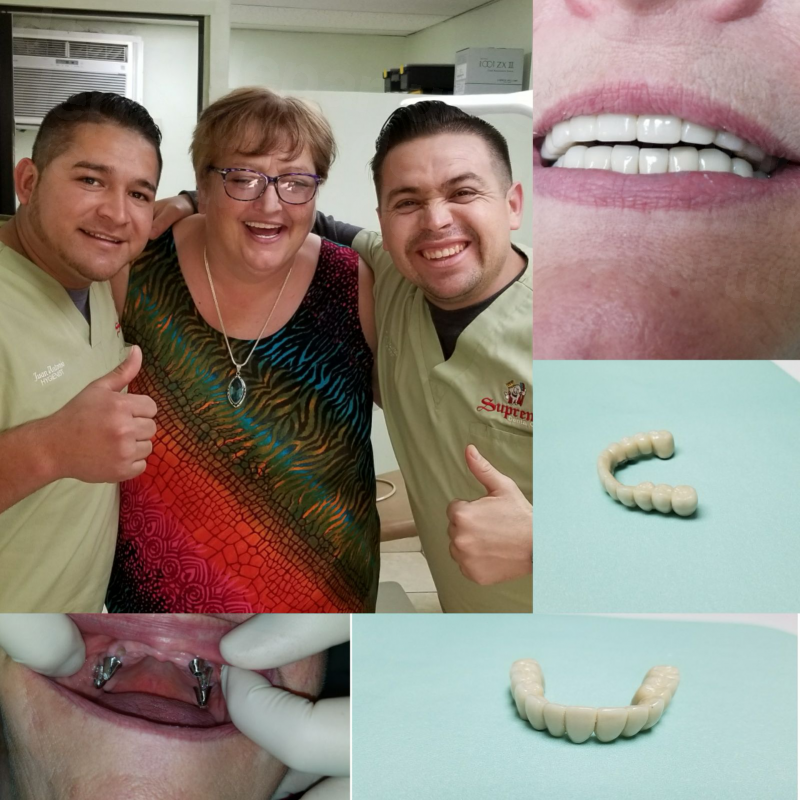 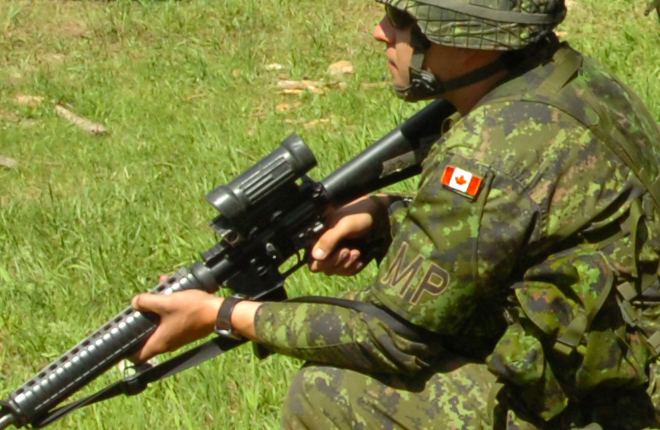 Save $300 USD on ALL-ON-SIX bridges (Straunmann, Miss or Bio Horizon brands). 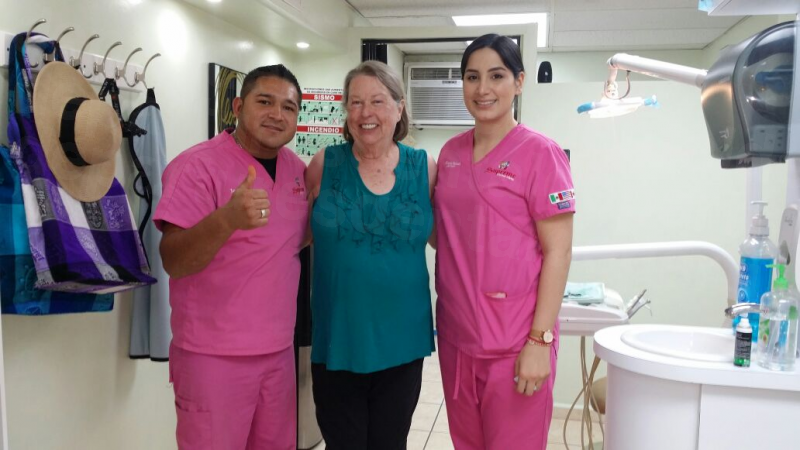 Get a free consultation in your visit! 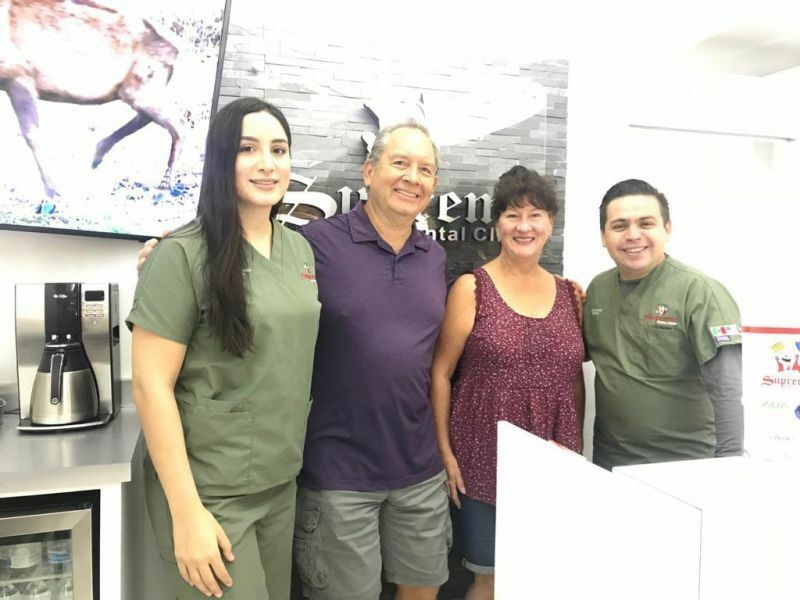 Get Free digital X-Rays with your appointment. 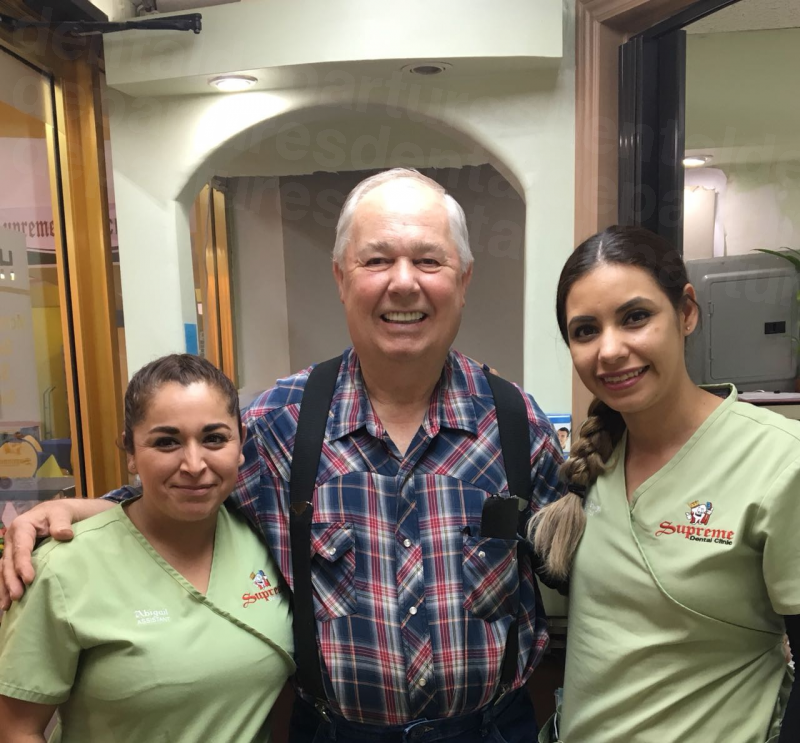 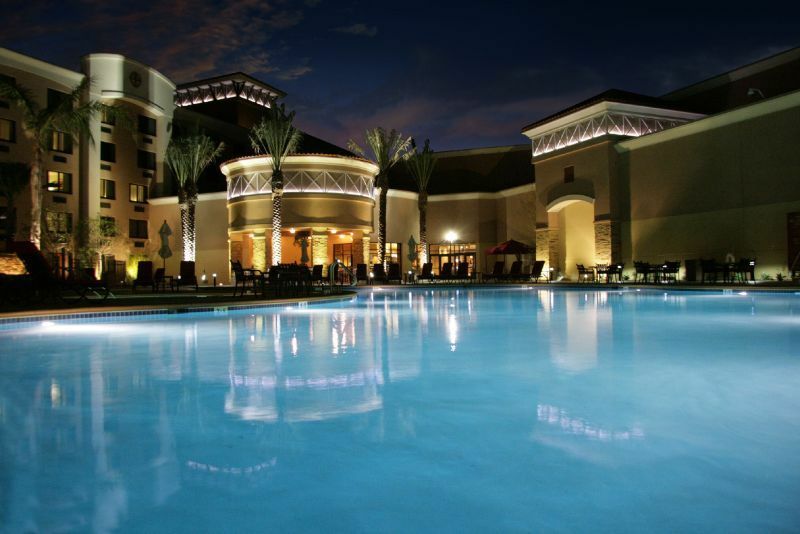 Stay at the Best Western Americana Inn 20 minutes from Molar City for a special rate and get a FREE shuttle to Los Algodones!